Last week we told you about the upcoming check capture feature in the iPhone PayPal app. 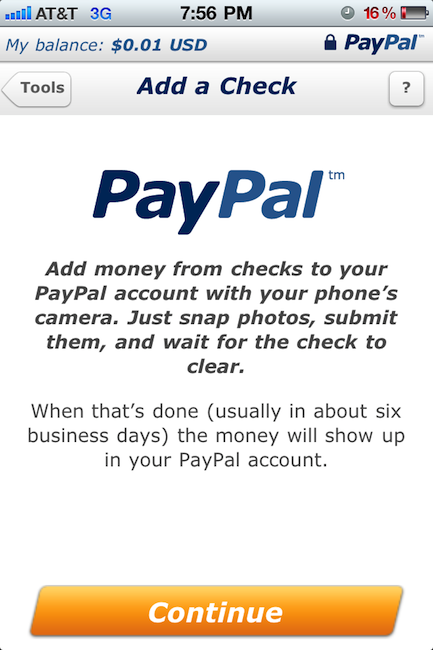 This new feature uses your device’s camera to capture checks so they can be deposited into your PayPal account. This feature is similar to the Chase banking app and snaps the front and back of the check you want to deposit. The new feature is now available on iTunes as a free update to PayPal. Thanks, Randall.